Listen to 20 second samples above of each meditation. 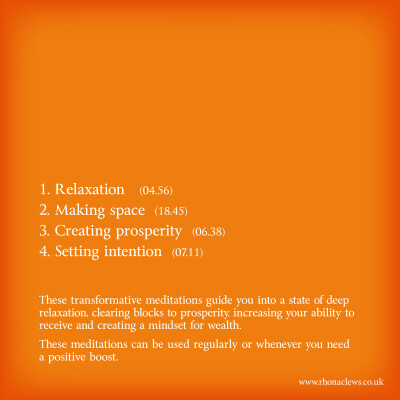 These transformative meditations guide you into a state of deep relaxation clearing blocks to prosperity, increasing your ability to receive and creating a wealth mindset. 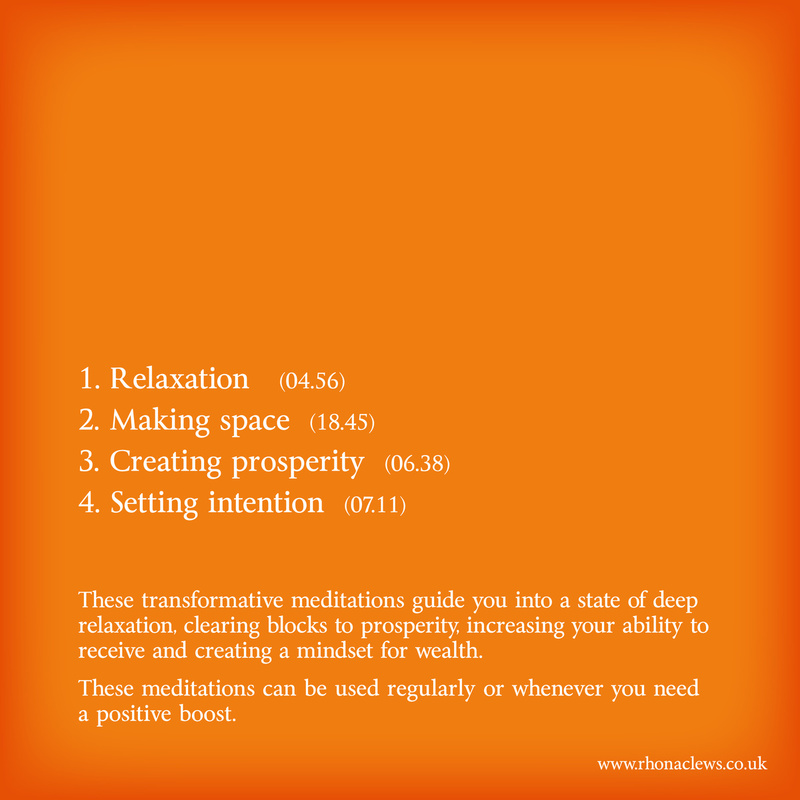 These meditations can be used regularly or whenever you need a positive boost. Rhona Clews is a Health & Confidence Expert, with over 18 years experience and a background in Clinical Psychology. 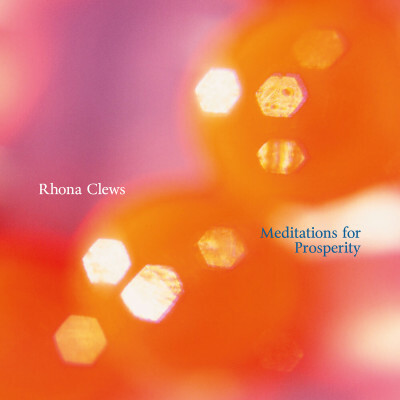 Rhona has developed these unique and powerful meditations from her expertise in a range of healing modalities.